There can be little argument that this election season is both historic in its significance as well as in its level of negative discourse. One aspect of the campaign that has been under particular scrutiny has been the accuracy (or complete lack thereof) of polling numbers. With corporations, partisan campaigns and advocacy groups among the pollsters, it’s hard to know which results are trustworthy and which should be viewed with a grain of salt. The attention on polls has continued to grow since Fivethirtyeight.com’s chief analyst Nate Silver drew praise for his extremely accurate election predictions in 2008, 2010, and 2012. But Silver’s methodology has come under fire this season, as polling organizations have to move away from their reliance on phone polling, once a reliable and accurate sample, but now becoming extinct as people drop their landlines. Further, there are restrictions for how pollsters can contact cellphone numbers — “robocalls” to cellphones are prohibited by law. 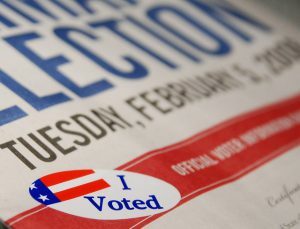 In his 2016 “State of the Polls” Silver said, “Although internet polls show promise as a potential alternative, they do not yet have a long enough or consistent enough track record to be placed on the same pedestal as high-quality, live-interview telephone polls, based on our view of the evidence.” Many pollsters now use some combination of telephone, mail, and internet samples – and statistically adjust results to better approximate views of the entire public. In one particularly telling case of probability sampling gone wrong, a New York Times article dissected the way a single African-American Donald Trump supporter and panelist on the U.S.C. Dornsife/Los Angeles Times Daybreak poll has skewed their poll results in Trump’s favor, where most other polls nationwide favor Hillary Clinton. The article explains, “in some polls, he’s weighted as much as 30 times more than the average respondent, and as much as 300 times more than the least-weighted respondent.” In this case, weighting for a tiny group, i.e. 18-21-year-old-men, is both unusual and problematic because the weights assigned to those respondents will be extreme. Additionally, the U.S.C./LAT poll used self-report of past voting behavior which is very uncommon, since respondents often mis-report past voting behavior. Last but not least, the U.S.C/LAT poll uses a panel, which means the same people are included in multiple waves of polling surveys. All these sampling decisions have led to this poll being an outlier among polls nationwide.